With FIFA President Gianni Infantino, the architect of the proposals, sitting just yards away, Ceferin used his address at the UEFA Congress in Rome to maintain his stance against plans to introduce a 24-team Club World Cup and turn the Nations League into a global event courtesy of a still largely secret investment consortium of mystery backers. The rift is set to come to a head at the FIFA Council meeting in Miami next month and Ceferin, in his president’s address a few hours before being formally sworn in for a second term after running unopposed, warned that his organisation would not be swayed. Throughout his speech, the 51-year-old Slovenian focussed on the principles of unity and respect but declared: “Respect means telling our friends, family, colleagues, bosses and partners when we disagree with them and when we think, in all humility, that they are wrong. “By telling FIFA that we disagree with their current proposals on the Global Nations League and the Club World Cup, we show them respect and we show respect to football, the game we love and the game we must protect. Ceferin also used the occasion to dismiss, not for the first time, talk of a European Super League. To that end, UEFA signed a new five-year memorandum of understanding with the European Club Association which represents some 200 clubs. “While the two of us continue to lead our respective organisations, there will be no Super League. This is not a promise. It is a fact,” he said. 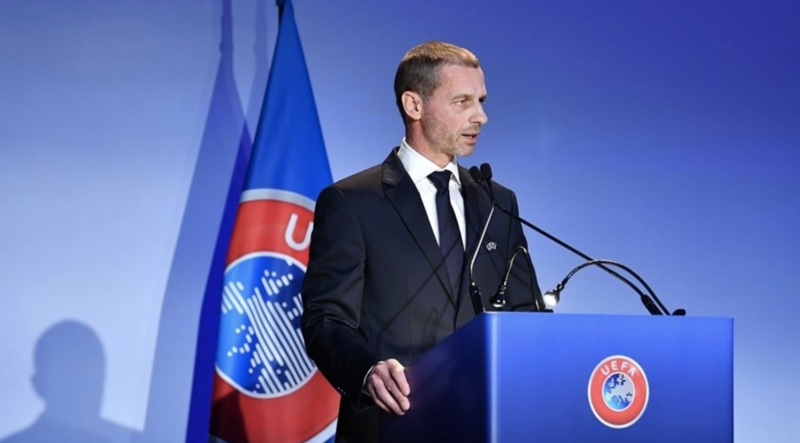 Listing his achievements since taking over in 2016, Ceferin made a point of stressing how UEFA’s governance had been improved with “common sense reforms” such as limited terms of office and the publication of salaries but conceded “there remain weaknesses in our system” and that there was therefore more to come. Earlier in his speech ahead of his re-election which was by acclamation and a lengthy round of applause, Ceferin admitted he had doubts and had made mistakes since taking office in September 2016 as a relative unknown. He didn’t spell these out but with Infantino – accused by his critics of running FIFA with far too little transparency and accountability – in the audience, Ceferin left the following comment open to interpretation.